Hydrangeas are more popular than ever and seem to have stood the test of time. One could say that Martha Stewart has had a hand in encouraging their popularity by featuring them in her magazine and TV show. Hostas, daylilies, and ornamental grasses have had their moment but Hydrangeas endure. Gardeners love their Hydrangeas and plant breeders have of course, taken note. 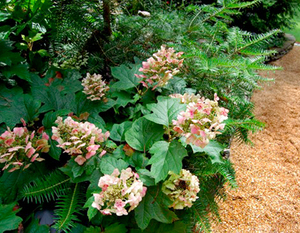 In order to satisfy the gardener who bemoans the scarcity or lack of blooms on his macrophylla, or who longs for something other than white on her paniculata, quercifolia, or arborescens, breeders all over the plant world seem to have been working overtime introducing new cultivars to satisfy the demands of Hydrangea lovers. As a result, there are now over 1,000 cultivars of macrophylla and over 90 new cultivars of paniculata have been introduced since 2000. Many suggest that the paniculata market is oversaturated, making it difficult for gardeners to choose amongst the plethora available at the local garden center. However, there seems to be no letup in the demand. 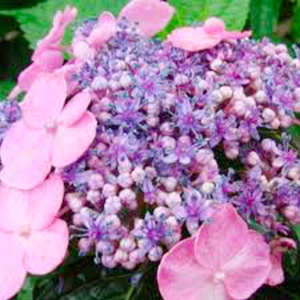 Macrophyllas are, by far, the most popular Hydrangea with their big blue (or pink) mophead blooms in high demand. Everyone wants the lush shrub covered in huge billowing blooms. Sadly, here in our Zone 4 or 5 (New FDA guidelines not withstanding), macrophyllas are not bud hardy. The plant itself can withstand our cold winters so the plant tag will recommend it for our climate. The buds, however, produced on the previous year’s growth, are generally not hardy, so gardeners here will have a vigorous shrub without its lovely and highly anticipated blooms. Plant breeders have come to the rescue with not only hardier species, but cultivars that bloom not only on the previous year’s growth, but on the current year’s growth as well. 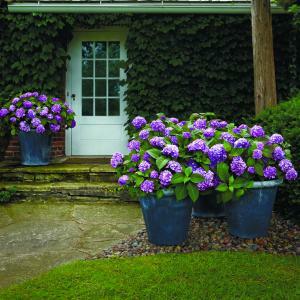 This ability to bloom on new and old wood has proven to be a boon for Hydrangea lovers. 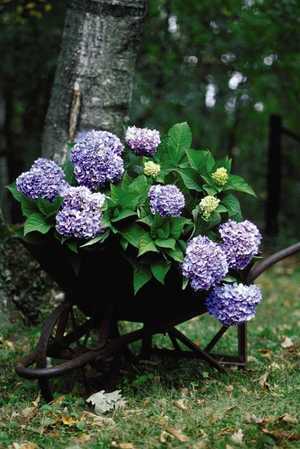 “Endless Summer” was the first Hydrangea widely and successfully marketed that blooms on new and old wood. Since then, reblooming, or remontancy, has been the gold standard in macrophylla hybridization. “Endless Summer” is not without its flaws; however, and has disappointed many hopeful Hydrangaphiles. Even though it was first discovered and initially developed in Minnesota, hardiness was still an issue and commercial production for the retail industry had to be developed. Michael Dirr at the University of Georgia was instrumental in getting Endless Summer into the retail industry. Since then, other breeders have introduced their remontant cultivars to the market. Notable among these are “Forever and Ever,” the “City Line,” and “Let’s Dance” series. All are widely available at local retail nurseries and through gardening catalogs. The problem with remontancy in our area, is the hardiness factor. Yes, the plant will bloom on old and new wood. But, if the buds on the old wood do not survive a cold Zone 5 winter, we remain hopeful for blooms on the new wood. But, if new wood buds are delayed in blooming, they may be killed by an early frost. So, we are still left with “endless” angst over a non-blooming Hydrangea. I have faith that somewhere out there in the hundreds of new cultivars is the perfect reblooming Hydrangea, and if there isn’t one now, there soon will be. “Twist and Shout”, a lovely remontant cultivar in the “Endless Summer” series, has bloomed reliably for me in my Zone 5 garden on new wood. I have yet to see an old wood blossom. For paniculata enthusiasts, of which I am one, there has been a huge introduction of new and perhaps too many cultivars. For me, paniculatas are truly the perfect shrub. They are hardy to Zone 3, very easy to grow and propagate, have very few demands, and very little bothers them in the way of pests or disease. They also provide blooms in late summer when much else in the garden has gone by. I am sure many gardeners dismiss them because they remind them of the gnarled tree-like forms they have seen in old cemeteries or homesteads, but new introductions in flower form, color and habit have created wonderful choices for today’s gardener. The main focus for paniculata breeders has been color. 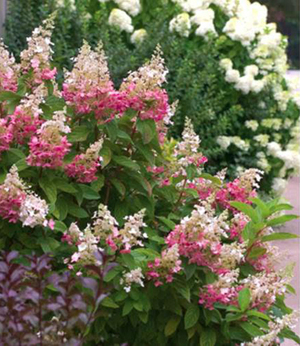 The choice of only white for bloom color has perhaps discouraged more interest in these otherwise very worthy shrubs. Although most paniculatas start out white, the white transforms into lovely shades of pink, dark pink, and magenta as they mature. “Limelight” produces a vivid lime green color. Breeders are also selecting for more compact shrubs for those who garden in smaller spaces. Notable choices are “Pink Diamond”, “Vanilla Strawberry”, and “Pinky Winky” for color, and “Bobo”, “Little Quick Fire”, “Bombshell”, and “Little Lime” for smaller, more compact plants. Hydrangea arborescens has also seen activity with new cultivars being introduced. The biggest improvements have been the size of the blooms and increased stem strength. “Annabelle” has been the tried and true cultivar available with exceptional hardiness and very large blooms, but very showy blooms would flop when they became saturated after a heavy rain. Breeders incredibly increased the size of already large blooms, introduced color and bred for stronger stems so as to avoid the floppy nature of the shrub. Most notable among new introductions have been “Incrediball” and “Invincibelle,” which exhibit very large blooms on strong stems and “Invincibelle Spirit” and “Incrediball Blush,” both of which exhibit pink blooms. “Bella Anna” starts out with a beautiful dark pink or magenta bloom and is such a pleasure in my mid-to-late summer garden. And not to be forgotten, Hydrangea quercifolia or oak leaf Hydrangea has seen improvements not only in color, but size. H. quercifolia “Amethyst” starts out white but progresses to a lovely wine red. Couple that with its beautiful fall leaf color and form, and interesting exfoliating bark, and you have a fabulous four season plant. Dwarf specimens have also been introduced, notably “Ruby Slippers” and “Sikes Dwarf”. True to the species, they are all carefree and easy maintenance shrubs.